Kodi is a great place to watch all sorts of content for free. But what about Bollywood movies? We’ve talked about downloading Hollywood movies but you’ll find that the add-ons supporting them don’t necessarily always include Bollywood movies. If you’re looking for add-ons on Kodi that will let you watch Bollywood movies, you have come to the right place. In this article, we’re going to tell you all about the add-ons that will allow you to watch Bollywood movies on Kodi for free or at the least cost possible. But First – What is Kodi? If you were browsing the internet for a place to watch free Bollywood movies and came across this article, we totally understand if you don’t know what Kodi is. Either way, today is your lucky day! After you have finished reading this article, you will have found a place where you can watch ALL sorts of content for free. The official add-ons which media companies and channels are officially affiliated with. The third-party add-ons that include independent platforms that have content that does not have any official platform on Kodi. These are also called unofficial add-ons. We’re going to provide you with a mix of official and unofficial add-ons that will allow you to watch Bollywood movies on Kodi for free or at a limited cost. But before we do that, we have something else to talk about. Unfortunately, you will find that not all of the movies you want to watch are available to watch from everywhere in the world. This is because some content is region-locked, and this can be problematic for when you’re traveling abroad. Quite simply, you could be in a part of the world that doesn’t allow some content to be viewed. This blocking can apply to Kodi as well. So in order to overcome this problem and watch all kinds of movies, you can use a VPN. If you don’t already know, a VPN stands for virtual private network. It basically acts a filter that hides your computer and the website you’re accessing. With a VPN, you can easily access the internet without the stress of anyone having access to what you’re viewing. By doing so, you can also overcome barriers set up by governments and companies around that world that end up region-locking some content. This means that you can watch content from Kodi without any hindrance. With Kodi, some of the streams you access on the third-party add-ons might not be fully legit. You see you never have to worry about Kodi being legal but some of the 3rd party add-ons do you give you access to content they don’t have the rights to. In these cases, a VPN is even more important and useful. VPNs create a virtual tunnel between your device and the VPN server. All information sent over this tunnel is completely private and secure and you do not need to worry about your information being compromised. VPNs also further protect you from being the victim of data theft. VPNs shield from prying eyes like that of a hacker. This way you don’t have to worry about an invasion of your online privacy. So, now that you know about VPNs, you’re also probably wondering about which VPN you should install. In that case, we’ve got the perfect suggestion for you! Download IPVanish! We love it- it’s our favorite VPN service and apparently the rest of the world’s too because it is the world’s best VPN service. Seriously. With IPVanish, you can surf the internet without any worries. Additionally, you can access any one of the thousands of servers available in more than sixty countries. But that’s not all. IPVanish has a “zero-log” policy which means that you don’t have to worry about them recording your information- and yes, this is a problem! Most free VPNs make it seem as though they are not recording your data when they actually are. They keep all the records of your web activity on a central server, and this is a security risk. After all, anyone can hack into a server- it’s a just a matter of time because nothing today is unhackable. This means that all someone needs are to overcome the location filter and they’ll have access to your exact address! When you’re using IPVanish then there’s no record of your online activity as they don’t store your information anywhere. Furthermore, you can access many devices with one IPVanish single account– all you need to do is sign up for a package which suits you. IPVanish is a paid, subscription-based service which supports a range of operating systems such as Windows, Mac, iOS, and Android. We really believe that IPVanish is the best option when it comes to Kodi and Kodi add-ons. In fact, we liked it so much we contacted them to get a special deal for our readers! Now, with that out of the way, let’s move on to our list. Here are the best add-ons you’ll find on Kodi that will allow you to watch Bollywood movies. 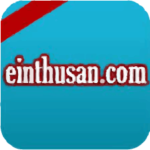 Einthusan is one of the best third-party add-ons out there for Bollywood movies. It has all of the latest Bollywood films as well as Punjabi, Urdu and Tamil movies in great quality. Check out our detailed guide for instructions on installing Einthusan on your system. Genesis Reborn is a catch and it has long been one of our favorite add-ons! This is because it allows you to watch movies in English as well as Bollywood movies. It also includes the option to watch English and Indian TV shows as well- and they’re all in HD! 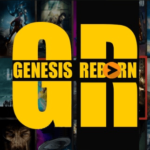 Check out our post for instructions on getting Genesis Reborn installed on your system. Eros Now is an official add-on and as such will cost a little bit of money but it has some of the best variety of Bollywood movies available. It also includes other content that is native to India such as comedy shows, TV shows and more. ErosNow also has a range of languages such as Hindi and Tamil. ErosNOW is a good choice if you want one particular add-on to include all types of Indian media. Check out our detailed guide for instructions on installing Eros Now on your system. As you can see, there are quite a few good add-ons out there that you can use to watch Bollywood movies on Kodi. We’re sure that you’ll love all of the add-ons that we’ve mentioned. But before you stream anything on Kodi, always remember to turn on a Good VPN like IPVanish, or visit our review on the best VPN services to pick the one that better fit your needs. We hope you try them. Enjoy!